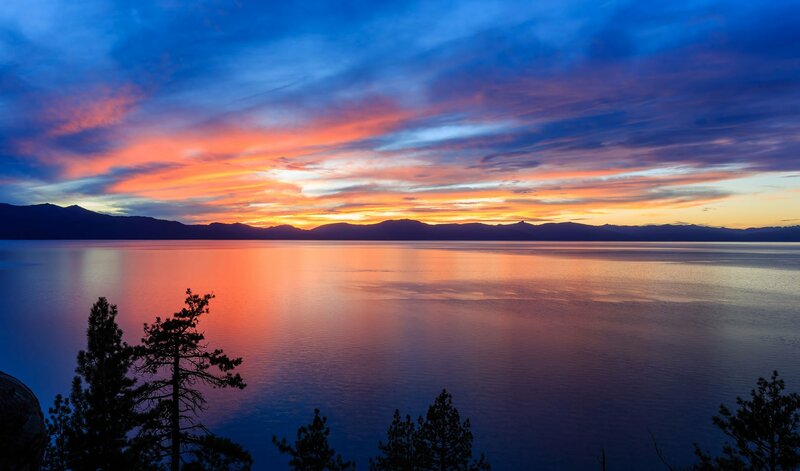 We’re lucky enough to be located in one of the most beautiful places in the world, so we take extra care to keep Lake Tahoe looking as picturesque and beautiful as ever. After all, we only get one Earth, so it’s up to all of us to protect it. With that in mind, Lake Tahoe Resort Hotel works hard to reduce our negative environmental impact in a number of ways, and we encourage our guests and the meeting planners we work with to do the same. If sustainability is something your company and employees value, we can help you to implement a “zero waste” policy and green initiatives at your next corporate meeting or event. What is a “zero waste” meeting? “Zero waste” and a lot of other buzzwords and ideas are thrown around in regards to meeting and event planning as people and businesses like yours seek to lessen their impact on the environment. But what exactly does it mean? While that’s a mouthful, it boils down to considering the whole product lifecycle and production process in an attempt to minimize the amount of trash being sent to landfills, incinerators, and oceans and your overall impact on the environment. Encourage ride sharing or alternative transportation. If your conference or meeting is off-site, request that attendees carpool, bus, walk, or bike to the venue to reduce environmental impact. Please visit BlueGo to learn more information on riding the bus in the South Lake Tahoe area near our hotel. Avoid plastic & paper when serving refreshments. Instead, use reusable glass containers and cloth napkins, tablecloths, and towels rather than paper. These can all be reused at future meetings or events. Keep packaging in mind. Much of product waste comes from the package itself. Buying in bulk and avoiding products that are individually wrapped are good options when it comes to reducing paper, plastic, and other non-organic waste. When purchasing, transport in reusable cloth bags, glass jars, etc. Provide a Zero Waste information packet. This guide should include why you’re striving for zero waste and how you’re going about it, including recycling and composting plans. You should distribute it to event attendees as well as vendors to keep everyone on the same page. This guide should be online or printed on recycled paper or paper alternatives. Also, include details about your eco-friendly efforts across social media and other promotional outlets as you plan your event. Consider online invitations, tickets, and sign up forms. While we’re on the subject of paper and packets, think about how you can reduce that during your meeting. Rather than printing invitations, meeting agendas, budgets, etc., going digital can help eliminate waste at the source. If you do want a more formal printed invitation or agenda, consider using recycled paper or paper alternatives and sharing copies among the group. Have proper receptacles. The goal is to make it easy for guests and event/meeting organizers to go zero waste and having access to multiple, well-labeled receptacles can help accomplish this. You’ll want clearly marked receptacles so attendees know what will be recycled, composted and sent to landfills so that everything can be sorted and properly disposed of. It may help to have volunteer “bin guarders” standing nearby the bins to educate and help attendees sort their waste. Think natural. Whether it’s lighting or decor, the more natural the better. Utilize natural sunlight and the natural breeze rather than electricity to light and cool the room (if possible), and consider using fresh flowers that can be composted as your table centerpieces. Organic and raw food options also generally create less waste. Share results and set goals. If you’re excited about reducing waste and setting “green” goals, your team or attendees will likely jump on board. With that in mind, it’s great to share the waste and sustainability results of your meeting after the fact. How much trash did you end up with? How much was able to be composted or reused? Discussing results (good or bad) with your team can help you guide and set new goals for your next conference or meeting. Remember, these changes take time, so progress is more important than perfection. Work with your venue and vendors. Don’t be afraid to ask hard questions and make special requests in the name of eco-friendliness when planning your event. Working together, especially with the venue and caterers, is crucial to success. Vendors who already have a commitment to sustainability will likely have many of the necessary processes in place. If they don’t, they may not be a good fit for your event. If you’re making an effort to reduce waste, your event partners should be too. How can Lake Tahoe Resort Hotel help? We recycle all paper, plastic, and aluminum products. We’ve worked to reduce our paper consumption by 70%. Excess food is collected for compost. Our chef is also willing to work with groups and meeting planners on dietary restrictions and waste reduction initiatives. Styrofoam products have been replaced with corn/potato based products that can be composted. We’ve worked to reduce unnecessary lighting and use energy-efficient bulbs throughout the hotel. All exit signage uses energy-efficient LED lighting. 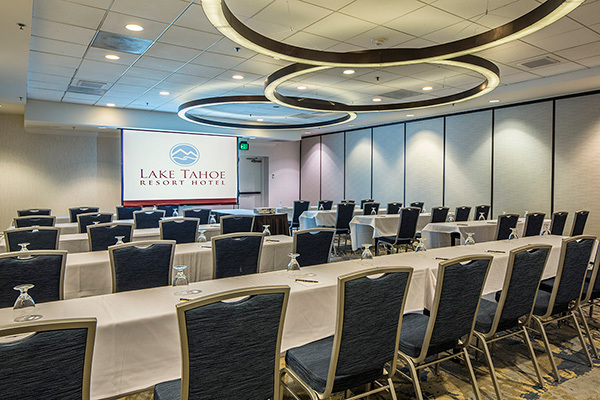 We use clean, fresh Lake Tahoe air to cool meeting rooms whenever possible. All meeting linens are reusable cloth and laundered in-house utilizing an Ozone Laundry System. The energy-efficient laundry system uses less water, washes with cold water, and takes less time to dry, which reduces energy use. Storm runoff water is collected, filtered, and tested before leaving the property to run into Lake Tahoe. If you’re looking to host an exciting zero waste meeting, conference, or event in the South Lake Tahoe area, we’ve got you covered. Connect with our on-site coordinators to learn more about how we can partner together to reduce waste and keep Lake Tahoe beautiful! The fresh air, the scenery, the wildlife — there’s really nothing like hiking around Lake Tahoe. 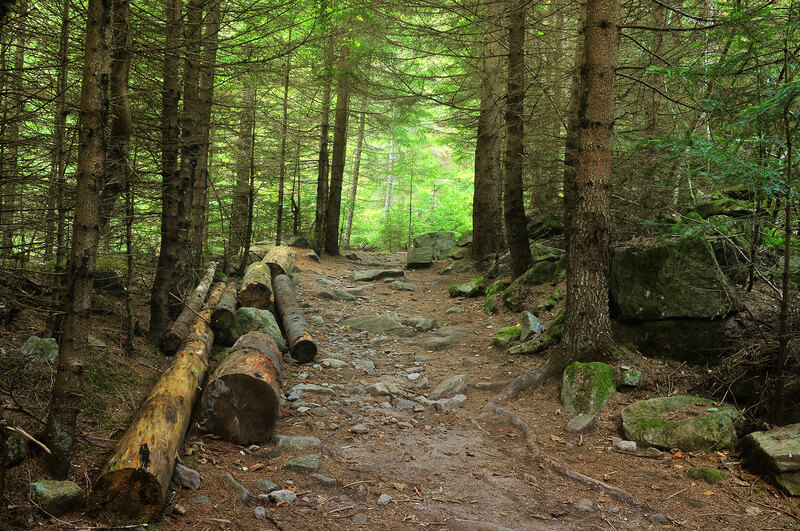 When the weather starts to warm up, hiking is one of our favorite things to do in the area. We’ve got lots of great trails around here, so we definitely recommend lacing up your favorite hiking shoes and doing some exploring. If you do plan to hit the trails in or around Lake Tahoe, here are some tips to keep in mind. There’s no doubt that the way to our hearts is through our stomachs. One of the best parts about vacationing or a fun night out is getting to explore and indulge in all the great food options available, right? South Lake Tahoe has no shortage of amazing and eclectic restaurants, bars, and cafes that will leave your mouth watering. 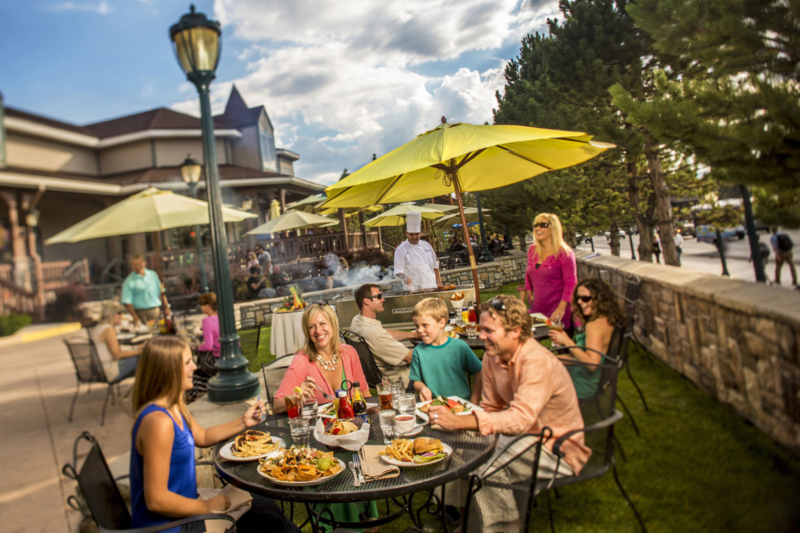 If you’re visiting the area or simply looking to expand your culinary horizons, we’ve got your “restaurants near me” search covered with some of our favorite places to eat near Lake Tahoe Resort Hotel. Don’t just take our word for it though — we’re sharing some top reviews from real-life locals and tourists like yourself too! Maybe there’s something in the water or the fresh mountain air, but love is always in the air in Lake Tahoe. The stunning water and mountain views provide the perfect backdrop for a special date, so it’s no surprise many people choose Lake Tahoe for a getaway with that special someone. 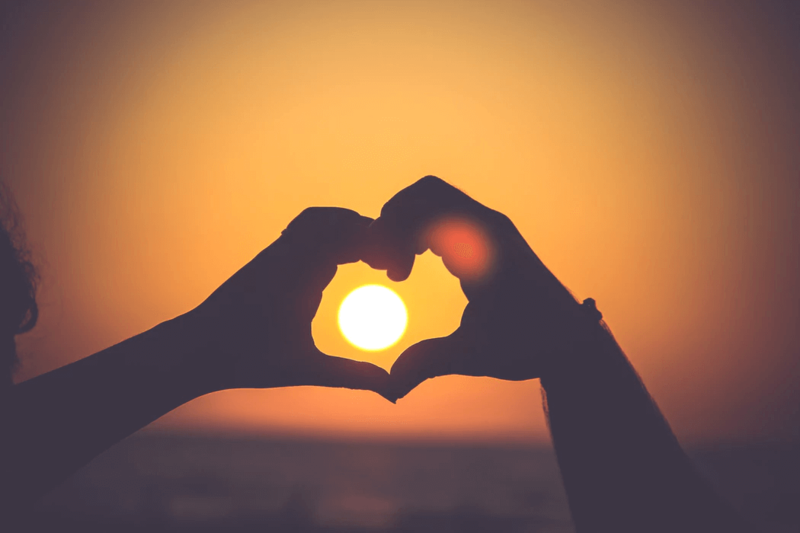 We get a lot of happy couples from all over here at Lake Tahoe Resort Hotel, and many ask us for advice on romantic date ideas and activities. While there are plenty of great nightlife and restaurant options, we often recommend couples spend some time together outdoors and soak up the natural beauty of the area. Check out some of our favorite romantic day trips and activities for couples around Lake Tahoe.